“Your future and present can update your past.” Reclaim your power—the power to choose, to be self-directed, and to defy the crippling mindset that says what happened to you yesterday defines who you are today. Instead, why not embrace this reframed perspective: your today can redefine your yesterday? Do you allow crisis to define your future, or do you choose to create a future that redefines and transcends your challenging experiences? What can we learn from Pope John Paul II’s formative experience as a young man in an underground theater during World War II that shaped his later role in life? “Instead of thinking that today is the product of yesterday, think of today as the beginning of tomorrow.” This mental model proposes that what appears to be a setback can become the setup for new beginnings that lead to your next breakthrough. How can parents foster the can-do mindset with their children? By creating a dual memory: one of the incidence of success and the other of the experience of overcoming the challenge that enabled the success. Why and how did Aviv reframe a devastating loss in the Air Force into a teachable story? What is the deeper meaning of integrity? 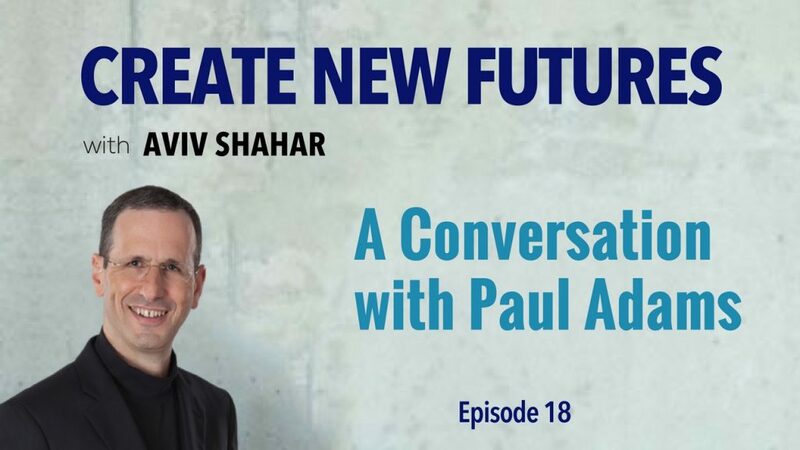 How does Aviv use a story to reinvigorate the essence of integrity? Because many of us internalize and personalize complaints, our natural reaction is defensiveness. A healthy alternative is to understand and help the other person become part of the solution by converting the complaint into a concrete request that will help us address the unmet need.Now it’s your turn. As a leader, you are a transformation agent. How will you apply these ideas to create transformative focus today? שהדברים שאתה מציע הם פרי התובנות שרכשת בחייך ולכן זה מאוד משכנע. כף גם לשמוע את פול והשאלות שהוא שואל אותך מראות שהוא אדם קרוב לעצמו ובאמת רוצה לעזור לעצמו ולאחרים. מקווה שהשיחות ביניכם ימשכו ואוכל להקשיב אליהן, עבורי זה יותר אפקטיבי מאשר לקרוא זאת בספר.